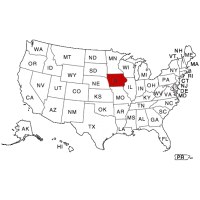 Intelifi is proud to offer LiveRunner technology for the every county in the state of Iowa. In addition to your national database products, you can get a real-time, county criminal background check which brings you results for one low price in less than 30 minutes. Normal county criminal searches that would take multiple business days are a thing of the past in Iowa. This allows you to uncover any possible crime someone could have in the state without having to wait. County criminal reports in conjunction with your national check will mean you have completely covered the state for all Misdemeanor and Felony convictions. Intelifi can help you find Felony convictions such as assault with a deadly weapon, grand theft, and identity theft, as well as less severe Misdemeanors like shoplifting, DWI’s, and the like. Contact Intelifi today to create a custom package that will take care of your pre-employment screening needs in the state of Iowa.